It’s highly unlikely that the Grimm brothers were thinking about Hollywood trends when they penned Rapunzel back in the 19th century, but here we are. Granted, the title character was locked in a tower for a whopping 12 years (you miss a lot in over a decade), but she also had a small perk amide the isolation: that hair. Long, glamorous strands is basically a glam cheat code. Who needs to fill in their brows or slap on a red lip when they have all of that up top? Exactly. It looks like Hollywood gets it, too, as stars like Beyoncé, Kylie Jenner, and Ariana Grande are letting their hair down and letting their braids and ponytails spill past their shoulders, too. Long hair does care… or at least we do. See their styles ahead. For her Barbie-themed 21st birthday extravaganza, Kylie Jenner wore an astounding 30 inches of platinum blonde hair extensions styled in a low ponytail. According to the hair extension artist behind the look, Violet Teriti, that’s between $6,000 and $8,000 worth of hair. For Beyoncé’s On The Run II tour with husband Jay-Z, longtime hairstylist Neal Farinah brought back Bey’s iconic long, braided ponytail that came ready with its own “hair-ography,” according to Farinah. How can we talk about long ponytails without mentioning Hollywood’s biggest ponytail stan: Ariana Grande. 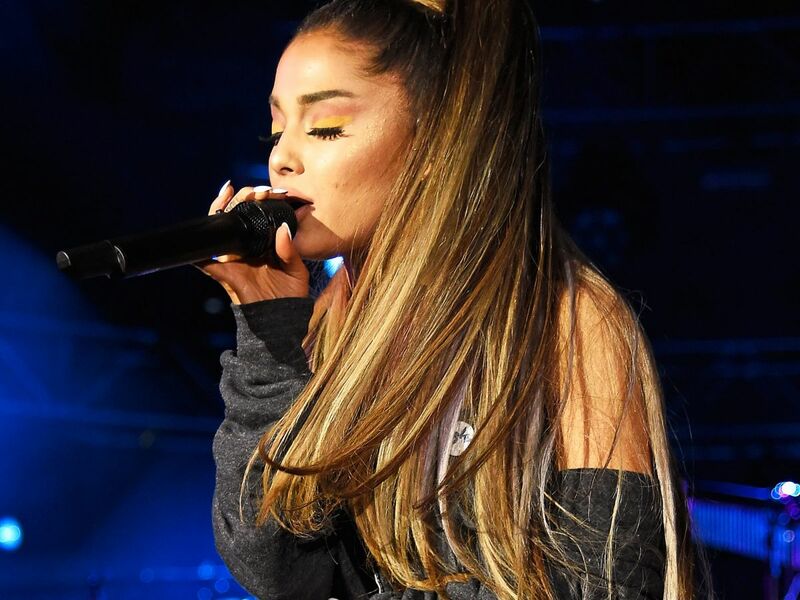 In the run-up to her new album Sweetener in August, Ariana remained loyal to the look, even rocking super-long ponytails when she tried (temporary) platinum blonde and ice blue hair color. 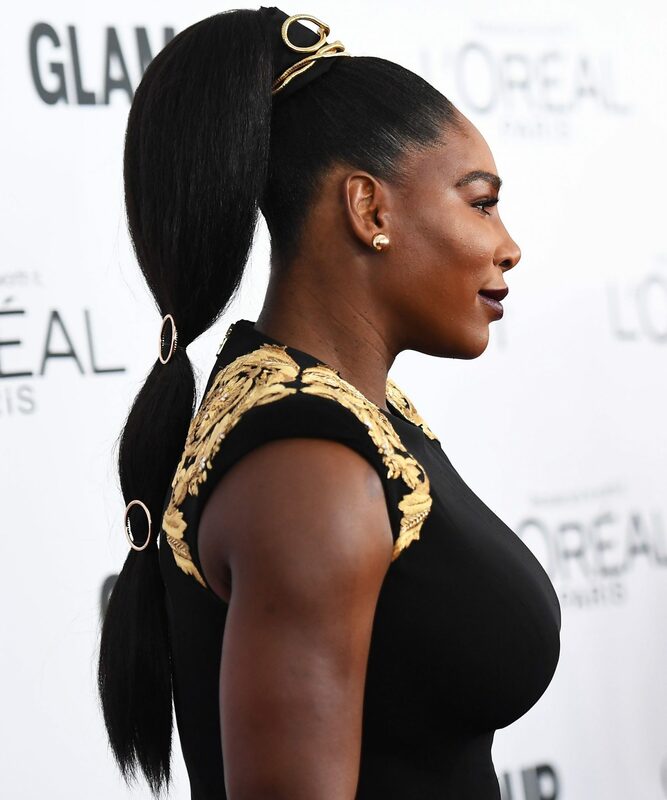 At the 2018 ESPYs, Ciara wore a high, I Dream Of Jeannie -esque ponytail with at least 24 inches of hair flowing down past her waist. Jeannie would be proud. Jennifer Lopez put her 50-inch extensions into a ponytail with the help of hairstylist Chris Appleton, who’s styled the tresses both curly and straight. At the 2018 BET Awards, Janelle Monáe wore a dramatic long, low ponytail with a few face-framing tendrils thanks to hairstylist Nikki Nelms. The style matched well with her dramatic Pride-inspired gown that night. 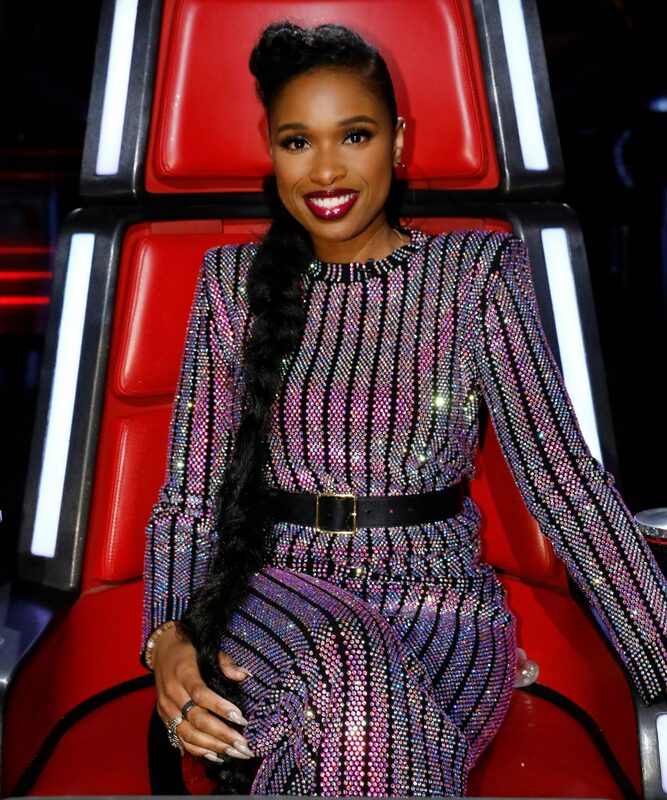 Jennifer Hudson’s badass braid can be yours with a few packs of hair, bobby pins, and gel for hold. Check out our roundup of tutorials here. 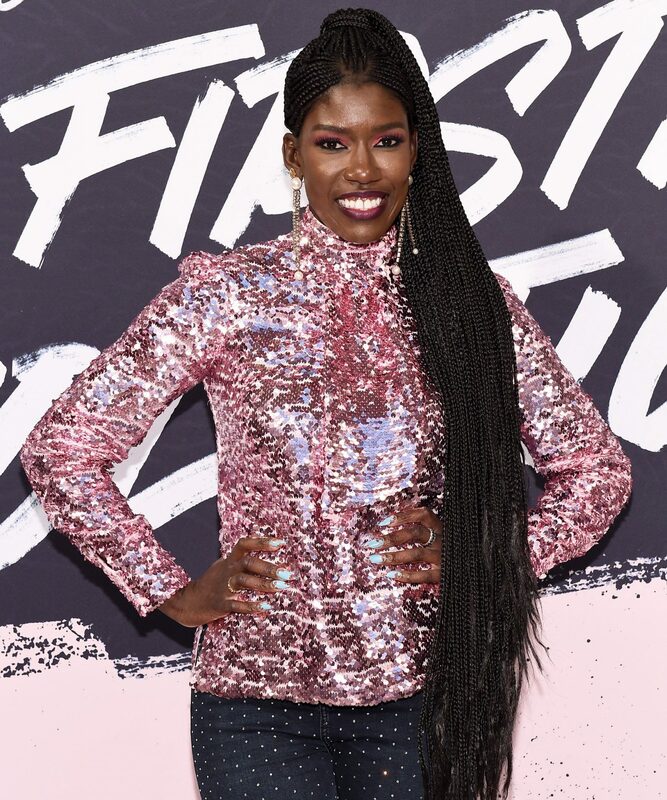 Uber’s chief brand officer, Bozoma Saint John, proves that box braids can work from the boardroom to the red carpet. Try spritzing Bumble and bumble Hairdresser’s Invisible Oil Dry Oil Finishing Spray on for a wonderfully-slick sheen like Kourtney Kardashian’s.